Melissa Doody believes postpartum depression had such a negative impact on her parenting abilities that it’s the reason her seven-year-old daughter has attention deficit hyperactivity disorder (ADHD) today. While Doody’s anguish over those early days of raising her daughter is evident and understandable, researchers are urging moms not to blame themselves, as the causes of ADHD are still unknown. A new Australian study suggests there’s evidence that a link exists between “parenting hostility” (over-controlling, negative, or rigid enforcement of rules) displayed by mothers experiencing postpartum depression and ADHD in children aged eight to nine years old. But while the study connects these, it does not say that one causes the other. “Mothers should not feel that they are to blame for their child’s ADHD,” Sciberras said. “We suspect that children’s challenging behaviour early in life may be connected to mother’s postnatal mental health.”. Studies have shown parents of children with ADHD experience more stress than parents whose children don’t have ADHD. 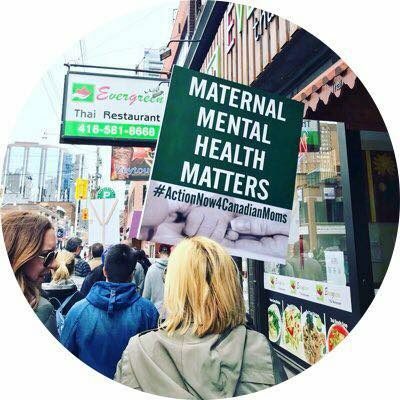 Up to 20 per cent of Canadian women develop a maternal mental illness such as PPD during pregnancy and/or the postpartum period. Symptoms of PPD vary from mild to severe and can include feelings of intense sadness, irritability, fatigue, anxiety and panic. If left untreated, the depression can become chronicand impact the child’s neurological development. The Australian study, published in the Journal of European Child and Adolescent Psychiatry, used data from the Longitudinal Study of Australian Children, which included 3,456 biological mothers and children. Sciberras says her study emphasizes that assistance for parents coping with challenging behaviour early in the child’s life might be helpful. While the study results are correlative, Doody still believes her PPD played a role in her daughter’s diagnosis. “My doctor and I came to the conclusion that I had postpartum depression after my first but it was not treated or dealt with properly,” Doody said. Next Men Get Postpartum Depression, So Why Aren’t Dads Screened?